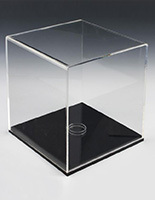 Lift-open acrylic case for easy access and cleaning of the display items. Contemporary craftsmanship complements any environment. Durable acrylic and MDF design for years of use. 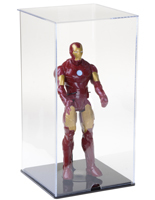 A display case, collectible display is incredibly versatile to be used to preserve your precious figurines. 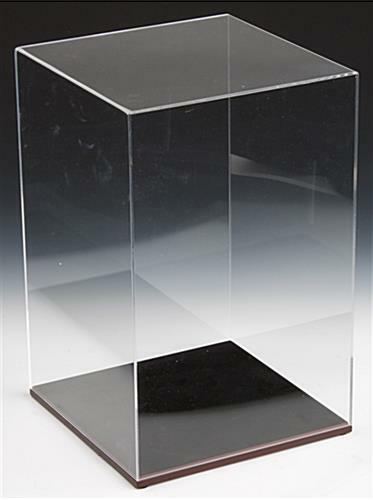 This collectible display, also known as a display case, features a base built from MDF with a mahogany finish, and a clear acrylic cover. The clean lines and finely crafted molding makes the collectible display look impressive in any room. 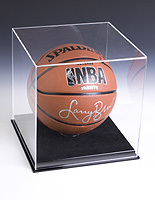 The base also comes with a velour bottom to allow you to showcase your treasures without leaving scratches on them. 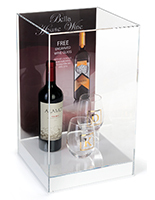 This display case, collectible display is sure to fit a variety of items. 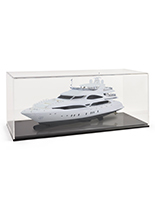 Due to its square shape, this collectible display allows you to showcase mementos such as collectible model cars, antiques and figurines. 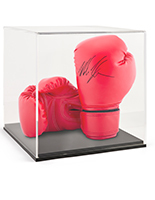 The collectible display case is also ideal for displaying autographed sporting goods or other types of sports memorabilia. 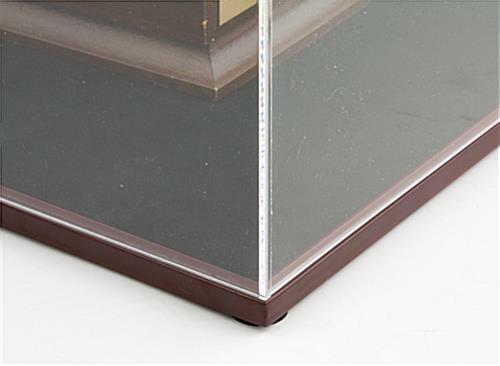 Each collectible display comes with a removable acrylic riser. This riser allows you to display round or unevenly surfaced objects with no problem; the riser ensures the displayed items stay in place. 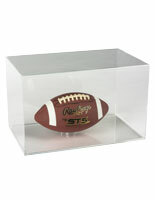 Not only can this collectible display protect your memorabilia, but you can also use it as a room decoration. The display case that we ordered worked perfectly for our needs. We displayed a prize inside the case. Visitors were able to enter for a chance to win the displayed GoPro Camera. 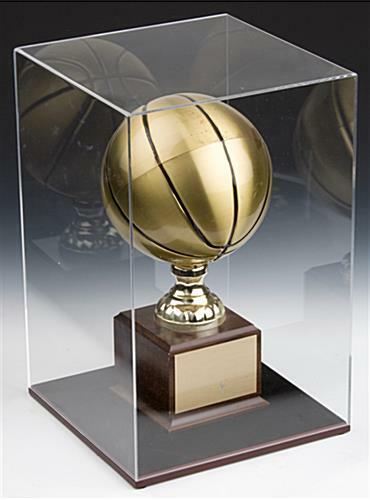 The display case from Displays 2 Go was the ideal way to make a noticeable presence of the prize on our exhibit counter. The display was nicely packed for shipping and arrived very timely. Thank you!